John William Shaw was born in Ossett in 1889, the eldest child of miner Thomas Shaw and his wife Annie (nee Wilby) who married in Ossett in 1888. The couple were to have eleven children, but three died before April 1911. In 1891 and 1901, the family was living at Bridle Lane, Ossett and by 1911, Thomas and Annie Shaw had moved to 24, Ryecroft Street, Ossett where they were living with seven of their children, aged between 4 months and 22 years. Thomas Shaw and his two children of working age, including John William, were all coal miners. At the outbreak of WW1 the 2nd Battalion of KOYLI was in Dublin. It was part of the 13th Brigade, 5th Division. In December 1915, it was transferred to 97th Brigade, 32nd Division. This Division was originally part of the Fifth New Army, and was numbered 39th. However, the Fourth New Army was broken up in April 1915, and the Division was renumbered 32nd, part of K4. It served on the Western Front with distinction throughout the war. All troops landing in France went straight into further training in trench warfare before moving up to the line and getting used to the trench rota system. This consisted of 4 days in the front line, four days in the rear and four days in reserve (just behind the front line). In fact, the rear positions could be just as dangerous as the front, due to heavy constant shelling. In March 1917, the German armies on the Somme carried out a strategic withdrawal known as Operation Alberich. They destroyed everything on the ground that they left: flattening villages, poisoning wells, cutting down trees, blowing craters on roads and crossroads, booby-trapping ruins and dugouts. The withdrawal was to an immensely powerful and shorter line, positioned to take every tactical advantage of ground. The construction of this line - or rather, series of lines - had been spotted by British and French aviators in late 1916. British patrols began to detect the withdrawal of German infantry from the Somme in mid February 1917 and a cautious pursuit began, halted only as the Hindenburg Line itself was approached. The front had now moved several miles, leaving the devastated 1916 Somme battlefield and the razed ground of Alberich behind the British front. New place names began to appear in British news and they would soon assume as sinister an air as the villages and woods of the Somme. 2/KOYLI as part 32 Division was involved in the pursuit of the Germans in their retreat to the fortified Hindenburg line. "Well-Known Ossett Soldier's Death - Official intimation has been received this week by Mr. and Mrs. Thomas Shaw, of Union-street, off Dale-street, Ossett, to the effect that their son, Private John William Shaw (28), of the King's Own Yorkshire Light Infantry, has died from wounds received in action on the 4th inst. The deceased soldier was well-known, not only locally, but throughout the district as an entertainer, being a popular lady impersonator. For a few years he worked with his father at the Old Roundwood Collieries. It is two years since he enlisted, and he went to the Western front about last Christmas. Two of his brothers are in the army, Albert having been at the front since the early days of the war, and Thomas who went to the front in February last." John W. Shaw's army service record has not survived, but he was awarded the British and Victory medals, but not the 1914-15 Star, indicating that he did not serve overseas until after 31st December 1915. 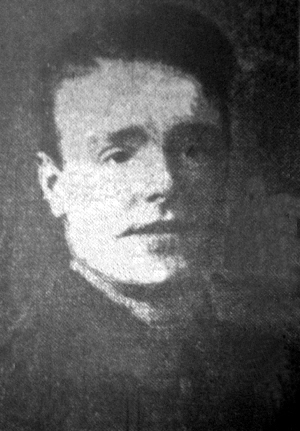 Private John W. Shaw, aged 28 years, the son of Mr. and Mrs. Thomas Shaw, of 6, Union Street, Dale St., Ossett, died of wounds on the 4th April 1917 and he is buried at grave reference II. A. 5. at the Foreste Communal Cemetery, 2 Aisne, France. Foreste is a village in the Department of the Aisne, situated approximately 14 kilometres west of St. Quentin and approximately 9 kilometres north of Ham. Foreste Communal Cemetery is situated to the south of the village on the D34. Foreste Communal Cemetery was used by the 92nd Field Ambulance in April 1917 and later by the 61st (South Midland) Division. The village fell into German hands in the summer of 1918. The cemetery contains 117 Commonwealth burials and commemorations of the First World War. 22 of the burials are unidentified and special memorials are erected to 23 casualties buried by the Germans whose grave cannot be traced.